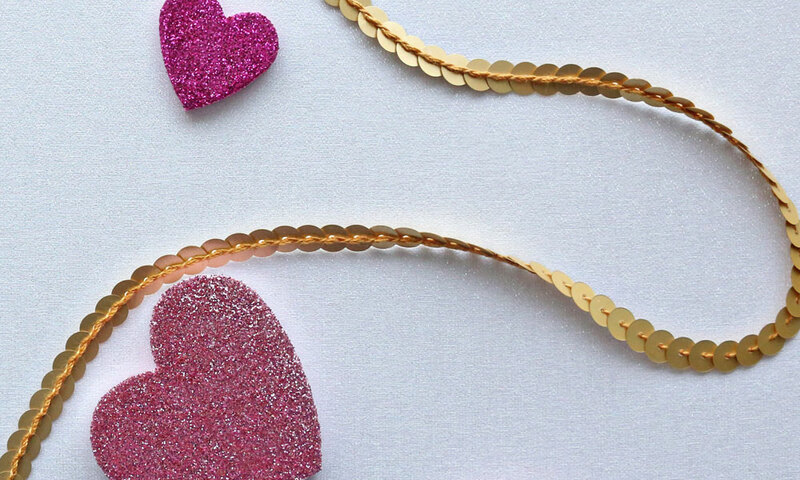 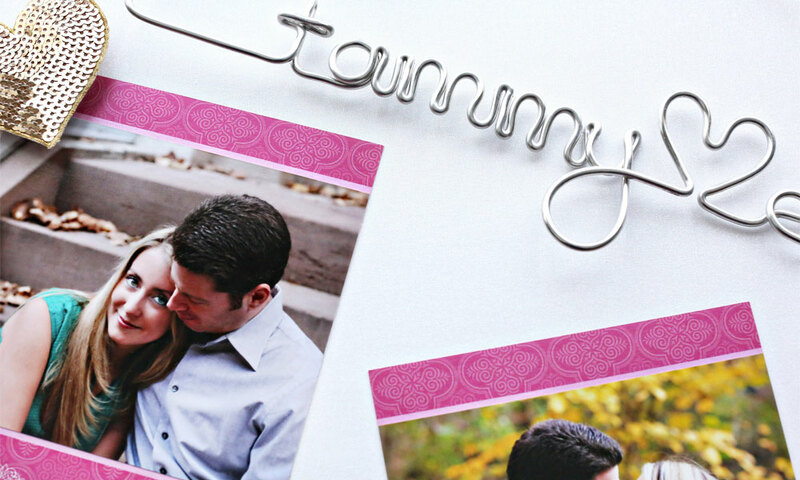 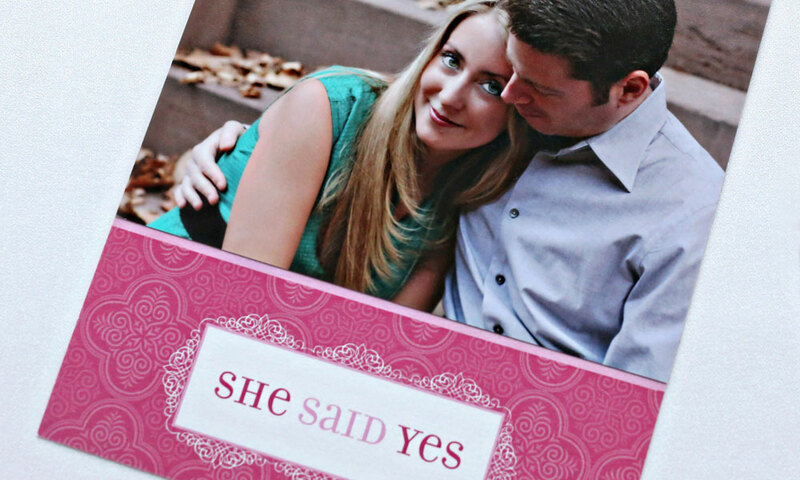 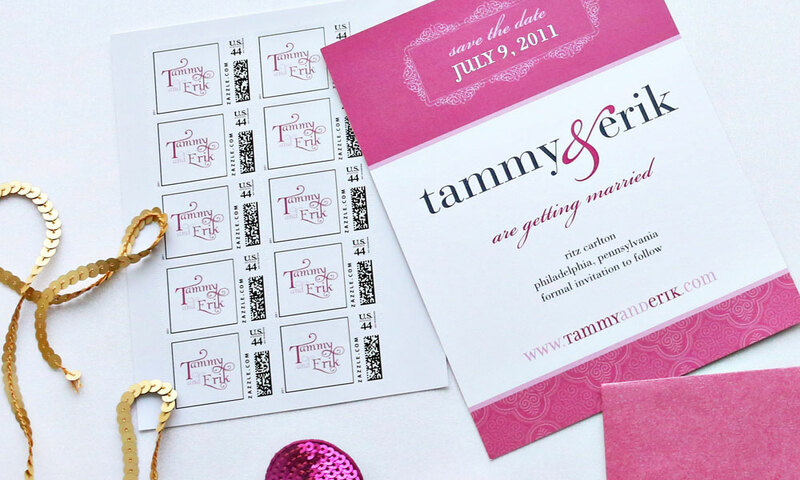 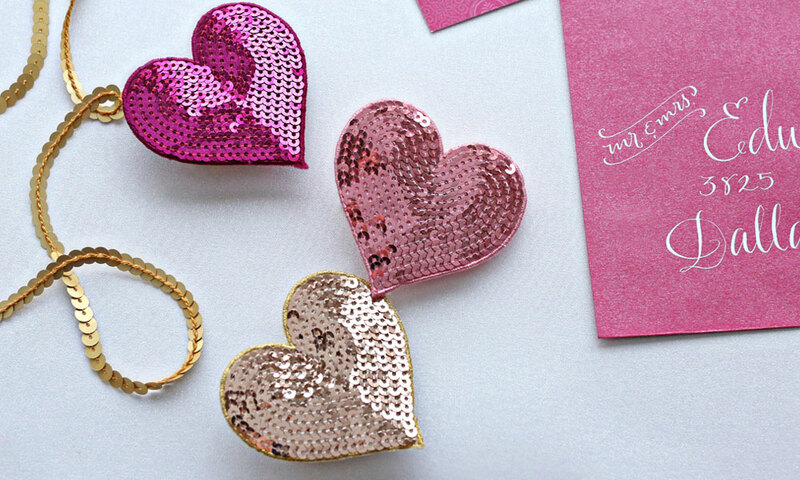 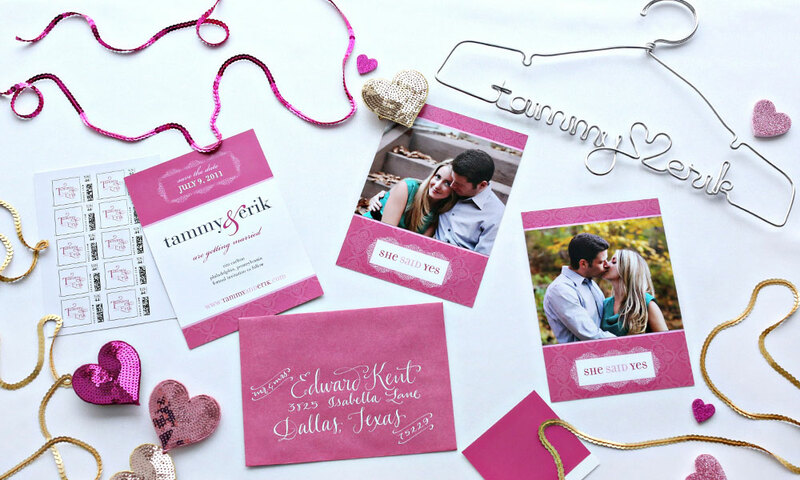 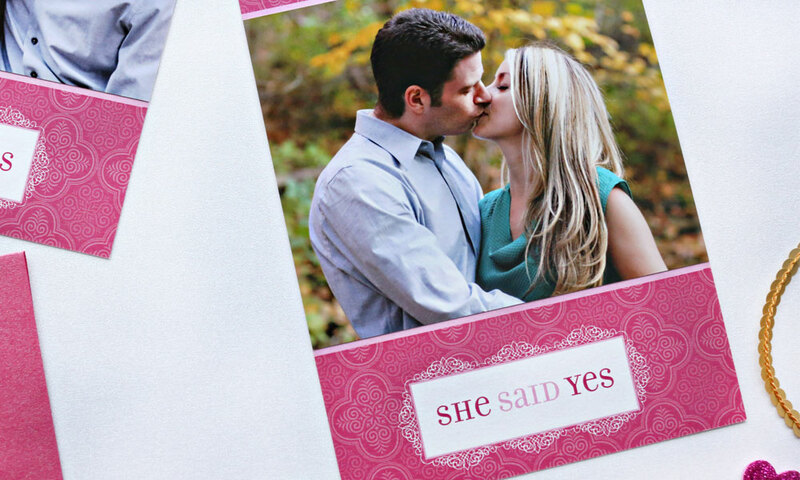 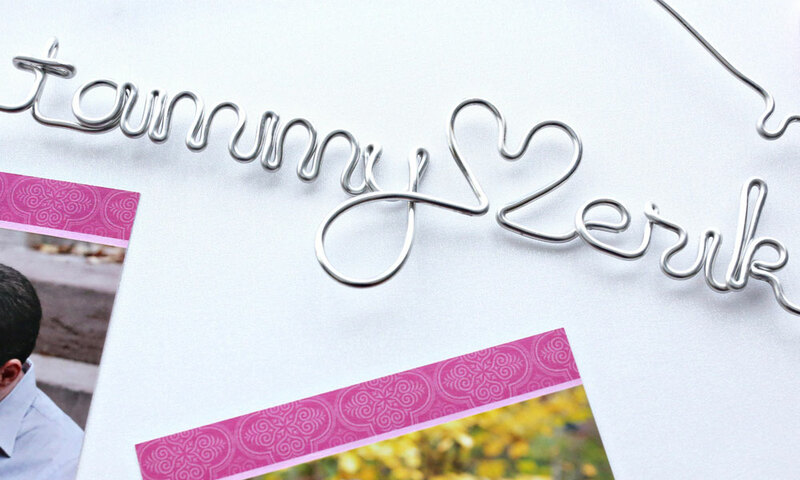 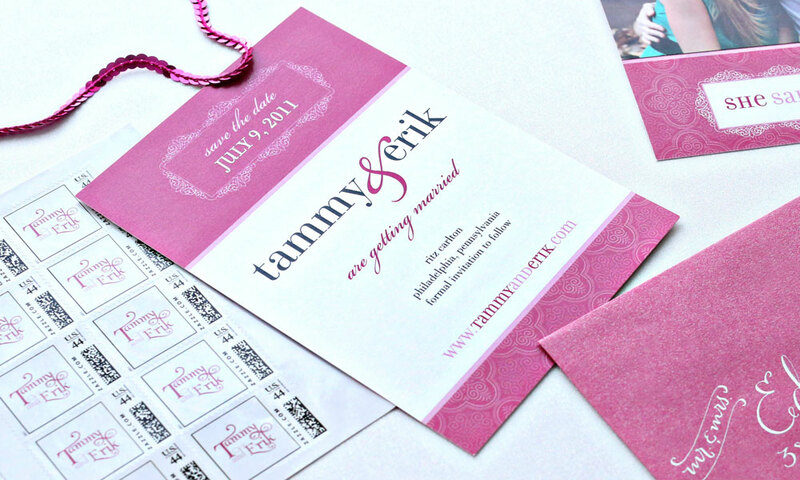 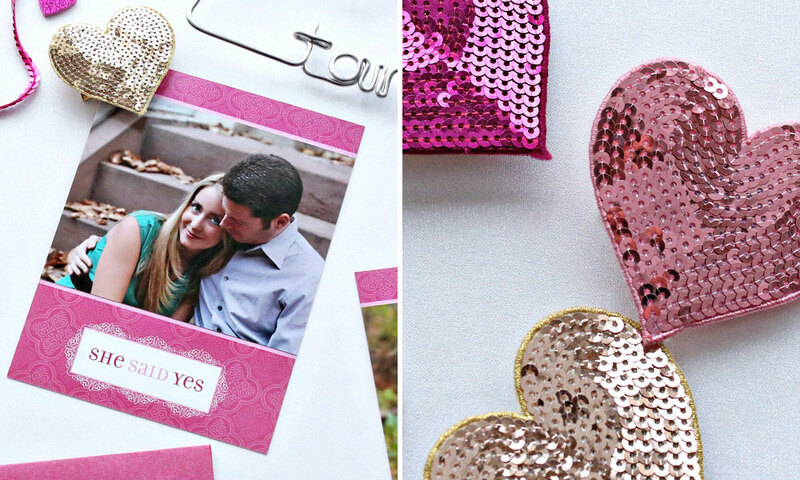 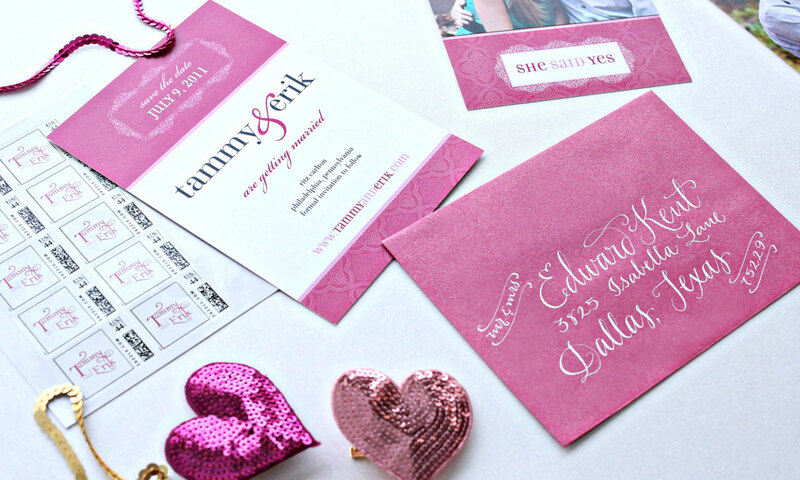 Romance is in the air – and the envelope – with this save the date for Zorie’s founder, Tammy. 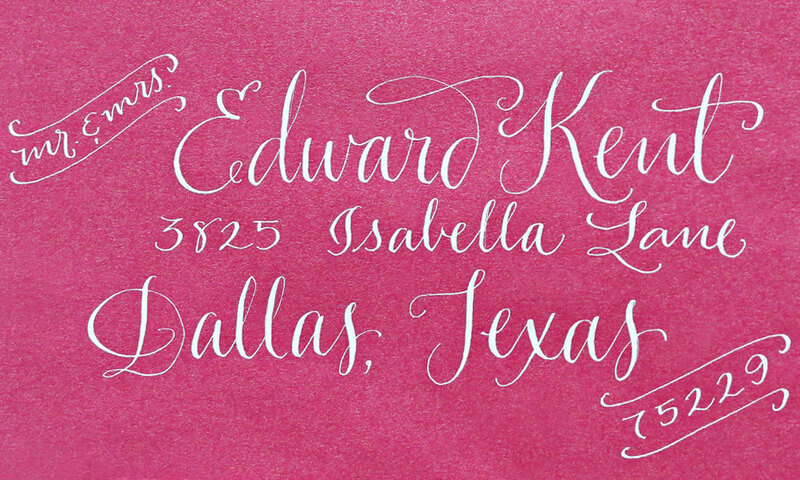 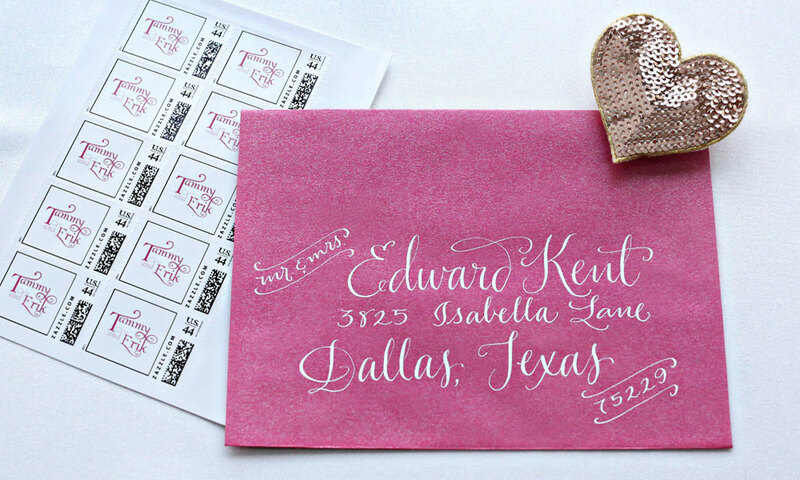 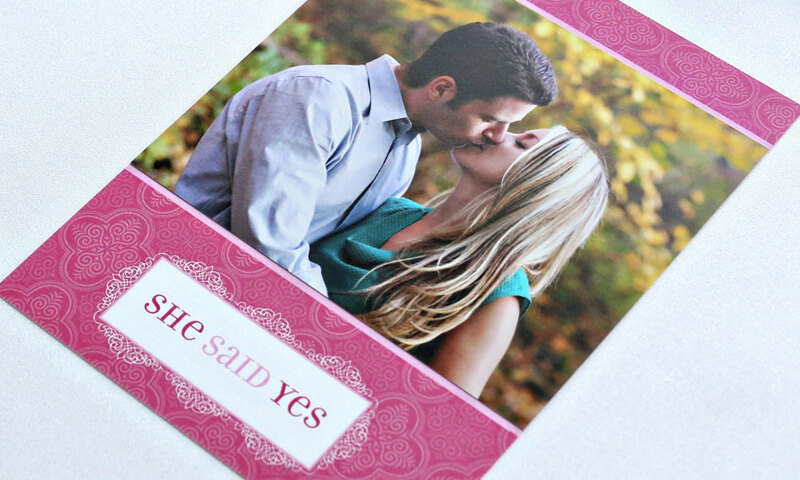 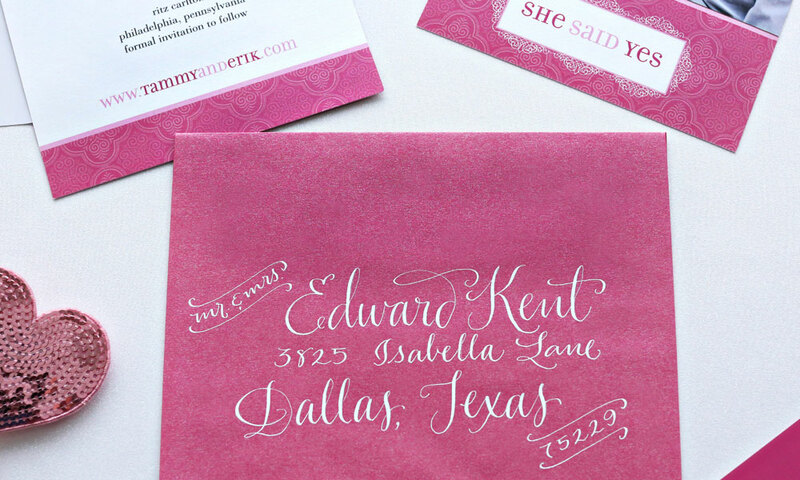 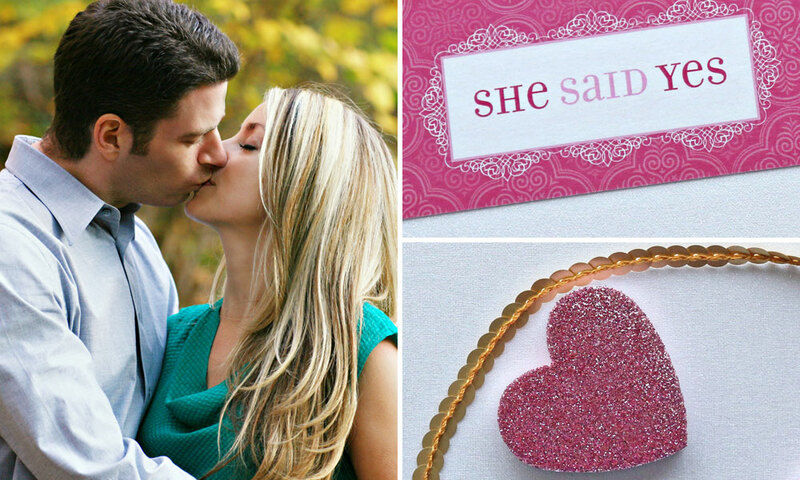 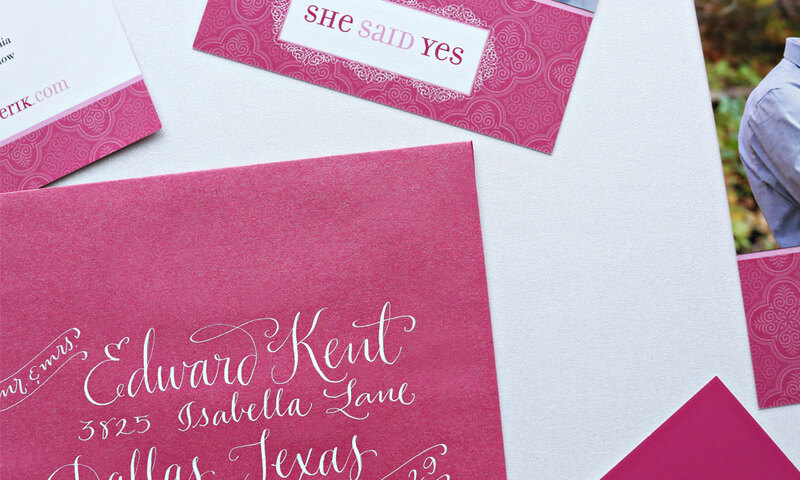 A custom stamp and romantic white, handwritten calligraphy embellish a glistening, metallic deep-pink envelope that opens to reveal her save the date. 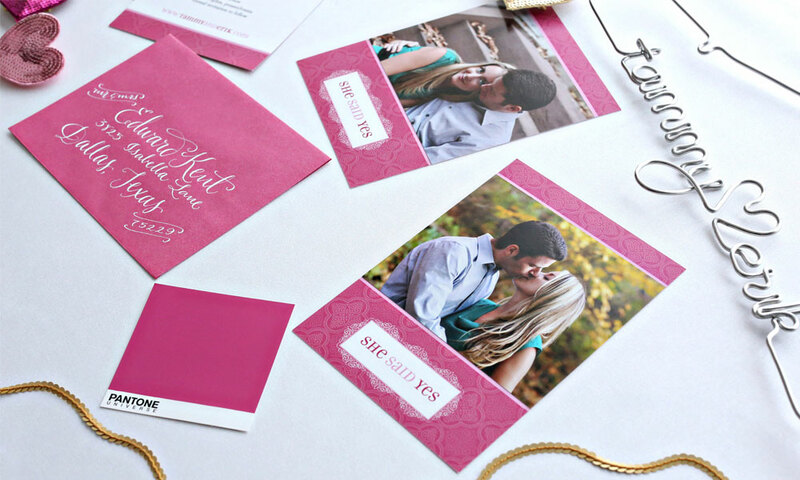 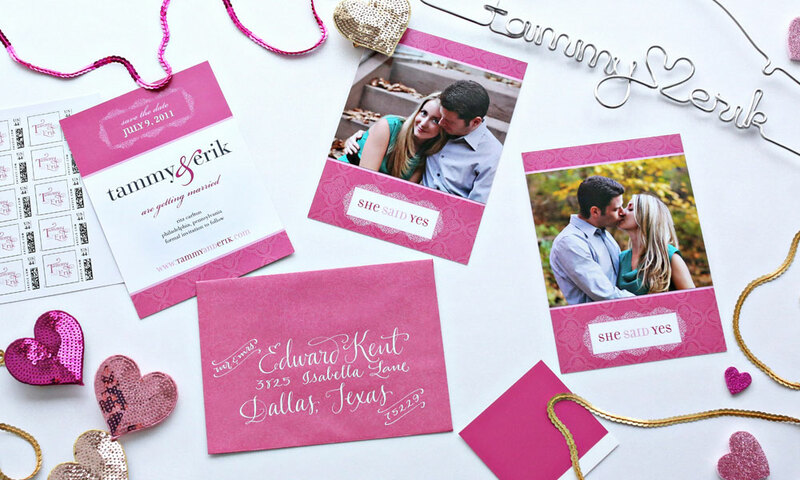 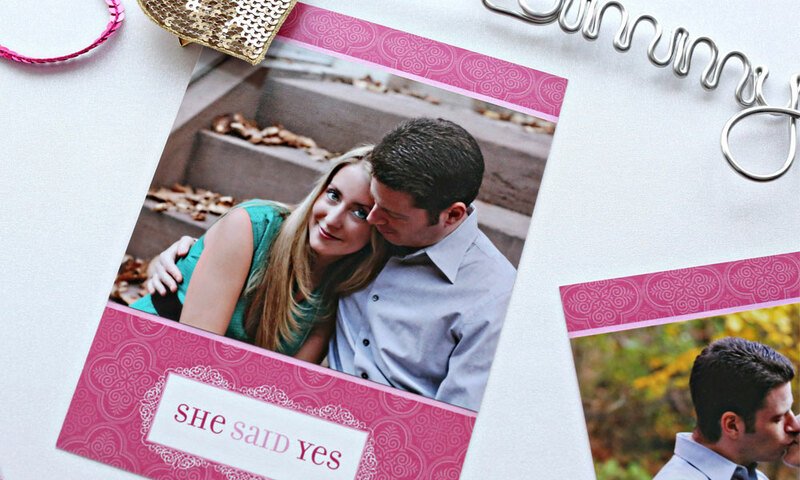 We created two versions of the save the date, each featuring one of the couple’s favorite engagement portraits set off by shades of pink, vintage design elements and a nod to Tammy’s love of custom, ornate patterns.